As we all know our "captain, leader, legend" is leaving Chelsea at the end of the season bringing his 22 years of association with the club to an end, I just want to write few words on the same. After debuting for the Chelsea Football Club in Oct 1998, John Terry tonight is going to play his 717th career game against Sunderland. 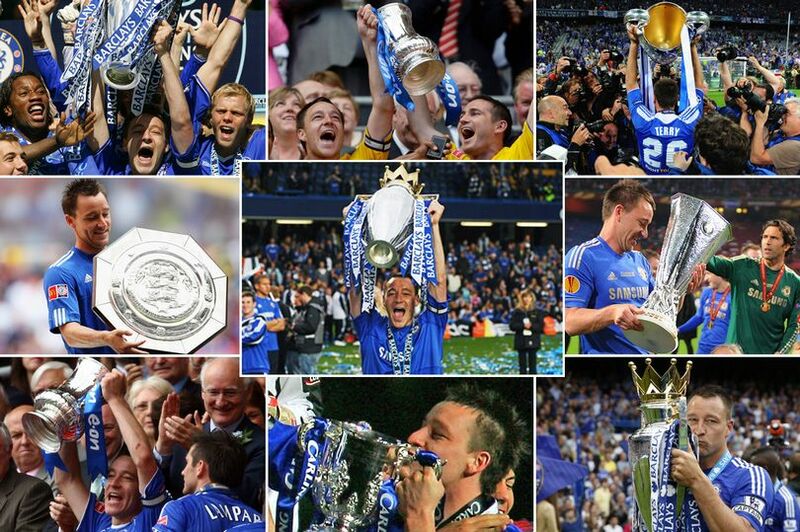 Terry who have won two-thirds of ALL the trophies Chelsea have EVER won in his 22 years of Chelsea career will be making his last appearance for the Chelsea and as a Chelsea supporter I think there is going to be a mixed emotions. 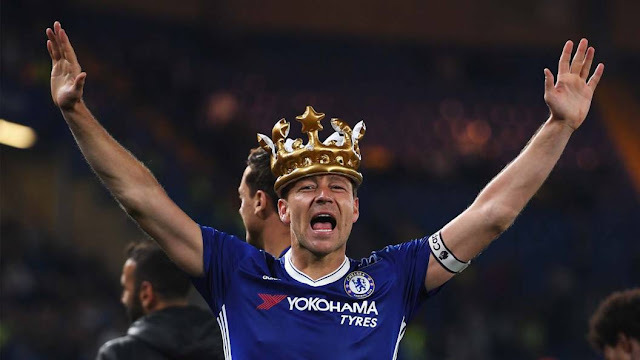 Terry will be departing as a Chelsea legend having lifted five Premier League titles, five English FA Cups, three English League Cups, the Europa League and the Champions League. Besides these currently he is the one of just five defenders to have won the PFA Player of the Year award which he won in 2004/05. Not only that he was in the list of FIFA/FIFPro World Team of the Year in five consecutive seasons from 2005 to 2009. What he has achieved during his Chelsea career is very mesmerizing. Wishing him all the very best from the bottom of my heart. Once again "Captain, Leader, Legend" Thanks for everything, everything you have done for Chelsea and for the one who have supported the club in the time of win and in the hard times of defeat. Thank You John Terry..